Winston Gaines submitted this photo and caption. 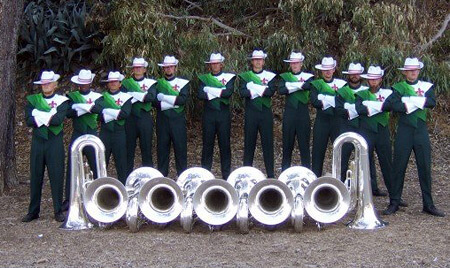 This is a photo of the 2007 Madison Scouts contra line. This was the last time that we would all be together, so we scrambled to take this photo right after our Semifinals performance at Rose Bowl Stadium.